Join Today! Make a Difference! We are accepting applications for new membership! 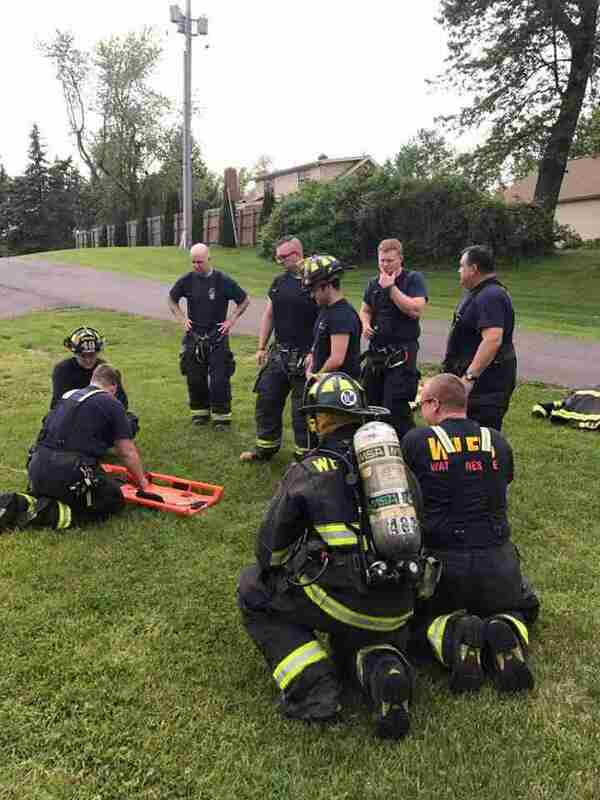 West Lake Fire Department is a 100% volunteer department located in Northwest Millcreek Township. We operate out of two fire stations and have approximately 32 active firefighters! Have you always wanted to make a difference in your community? Maybe you’ve always wanted to be a firefighter? If so, visit us at our main station (3762 West Lake Road) any Wednesday night between 6pm-10pm and pick up an application! What to expect if you join? West Lake is the third busiest fire department in Erie County, answering around 1,800 calls for service each year! You will be provided FREE training in the following fields: Firefighting (around 180 hours), Medical Training (70-180 hours) and much more! All gear and uniform are provided to you, at no cost! We offer several types of membership here at West Lake (see “membership tab” for more details). Active Firefighter (18+) – You will be trained to be a firefighter and able to respond to all calls for service. Junior Firefighter (16-18) – Please see our “Membership tab” on the main screen for additional information! Fire Police (18+) – Fire Police Officers are support members for the active firefighters. As a Fire Police Officer, you will respond to calls and assist with traffic control, crowd control, etc. If you have any questions about what it takes to be a West Lake Firefighter, or have questions regarding the application process; don’t hesitate to call or stop at the station! Station 48: 3762 West Lake Road Erie, PA 16505 814-833-4115 – ask for any Chief or Line Officer!